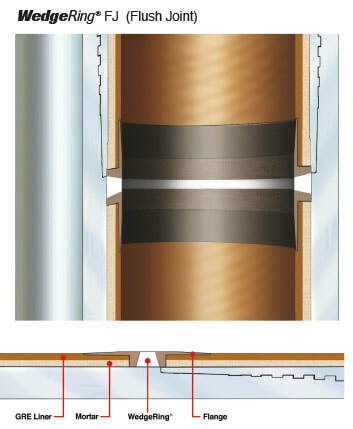 Composite Lining Systems is pleased to add the WedgeRing® to the list of options for adapting the GlassBore® system to a variety of premium connections. 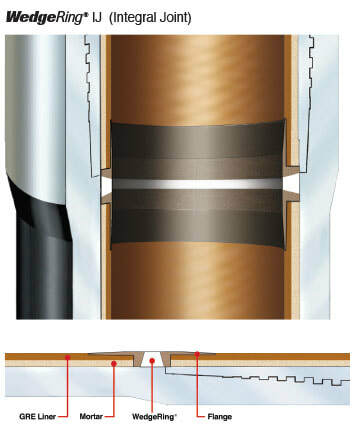 Our customer now has the advantage of using an unmodified premium connection to join GlassBore® tubing or casing. 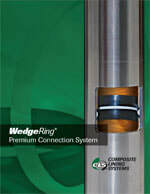 Lower price and greater simplicity round out the benefits to WedgeRing® users. 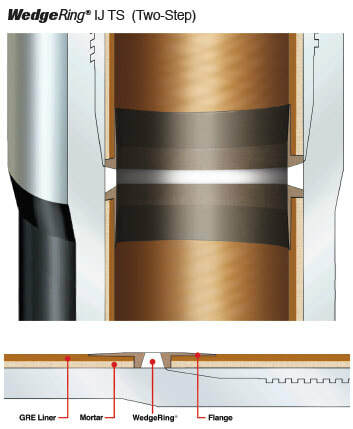 This connection is not over-engineered and requires very little maintenance or meticulous and time-consuming measurement upon installation. It is easily repaired or replaced and is highly affordable. 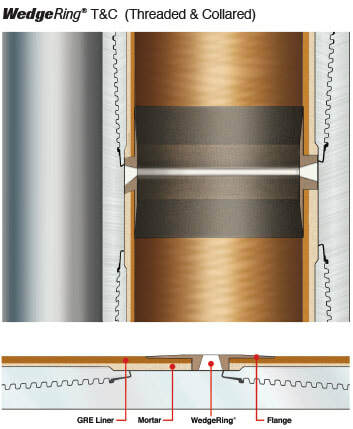 The wedge-shaped glass-filled PTFE ring compresses between two sturdy molded flanges across the connection to insure against corrosion of exposed steel surfaces.